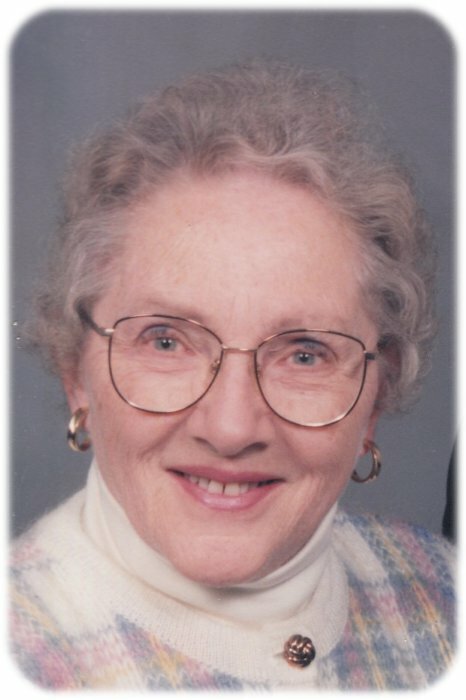 Memorial services for Joan K. (Lemke) Bagley, age 88, of Albert Lea, will be held at 4:00 p.m. on Saturday, January 19, 2019 at East Freeborn Lutheran Church. Rev. Matt Griggs will officiate. Interment will be at East Freeborn Cemetery at a later date. Friends may greet the family two hours prior to the service at the church on Saturday. Online condolences are welcome at www.bayviewfuneral.com. Joan died Monday, January 14, 2019 at Oak Park Place. Joan Katherine (Lemke) Bagley was born on August 4, 1930 in Albert Lea, the daughter of Claus F. and M. Irma (Stoner) Lemke. She grew up in Albert Lea, graduating from Albert Lea High School in 1948. She went on to nurses training in Chicago. On May 27, 1951, Joan was united in marriage to Harold J. Bagley. She grew up in the First Presbyterian Church and later became a member of East Freeborn Lutheran Church where she was part of the mission circle, altar guild, Sunday school superintendent, a trustee and service divisions. Joan liked gardening, canning, cooking, baking, quilting, and knitting – she made well over 200 Christmas stockings. She loved spending time with family and friends. Joan is survived by her husband of 67 years, Harold; children, James (Holly) Bagley, William (Lori) Bagley, Nancy (Michael M.) Hutchins, Karen (Steven) Quam, Charles Bagley, and David Bagley; grandchildren, Jennifer (David) Tesch, Rebecca (Daniel) Mangold, Morgan Hutchins, Jesse (Sophie Miller) Quam, Kate (Corey Camerer) Quam, Amber Eggert, Erica (Jeremy) Conley, Mori Hagen, and Michael A. (Deanna) Hutchins; numerous great-grandchildren, great-great-grandchildren, nieces, and nephews. Joan was preceded in death by her parents, Claus and Irma; in-laws, Carl and Viola Bagley; brother, John S. (Mary) Lemke; sisters-in-law, Elsie Bagley and Dorothy (Jack) Steinke; brother-in-law, Richard (Fern) Bagley; grandson, Andrew Hutchins; and daughter-in-law, Laura Bagley.